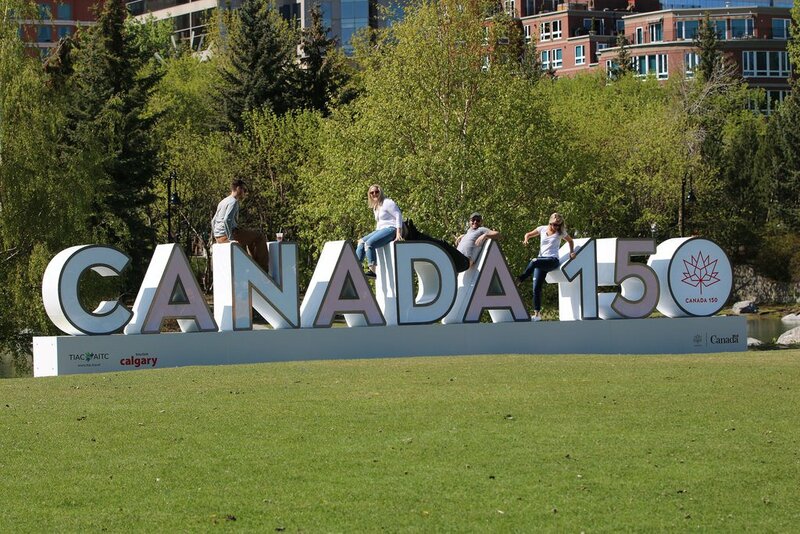 Canada marked its 150th anniversary as a country in cities, towns and at backyard barbecues nationwide. Revelers, police and some protesters converged on Ottawa on July 2 for a party that has been years in the planning. However, the biggest bash was at Parliament Hill in Ottawa, where thousands of people joined the celebrations. Large crowds turned out in their droves – albeit huddled under umbrellas, trying to avoid the rain. Some partygoers got to the hill before the sun had even risen. Their early morning netted them a prime spot right next to the main stage. The celebrations included a concert by Canadian artists, a display from Canada’s aerobatics squadron the Snowbirds, a citizenship ceremony for new Canadians, and a massive fireworks display. Canadian theater giants Cirque du Soleil performed, and Bono and The Edge from the rock band U2 serenaded the crowd with an acoustic set. PM Justin Trudeau, who has made inclusiveness a political calling card, gave a speech celebrating that attribute. “We don’t care where you’re from or what religion you practise, or whom you love – you are all welcome in Canada,” he said to cheers from the crowd. Justin Trudeau’s speech was delivered in both English and French, a tradition in Canada, which recognizes both as its official languages. “This is as good a reason as any to reflect on our past, to cheer on today, and to recommit ourselves to the future,” the prime minister said to the 25,000 partygoers who had waited hours to get past security and on to the parliament’s lawn. However, Justin Trudeau also took a moment to remember Canada’s indigenous people, whom he said had been “the victims of oppression” since the first settlers arrived. “As a society, we must acknowledge past mistakes,” he said, telling the audience that there was still much work to be done in order to achieve reconciliation. However, Canada, the prime minister said, was determined to see a reconciliation over the coming years and decades. “It is a choice we make not because of what we did, or who we were, but because of who we are,” he said. However, some indigenous peoples refused to recognize Canada 150, saying it represented more than a hundred years of colonization. Sandwiched between security fences and to the west of the main stage on the parliament’s lawn, a group of indigenous protesters set up a teepee. They were allowed to stay on Parliament Hill after erecting the structure in the early hours of June 29 in what organizers called a “reoccupation”. Across the Ottawa River in Gatineau, Quebec, crowds also lined up to see Prince Charles and the Duchess of Cornwall open a new hall at Canada’s Museum of History. Queen Elizabeth II, Prince Charles’ mother, is Canada’s head of state. Canada shelled out an estimated C$500 million ($385 million) on everything from festivities to security and infrastructure projects. Canada Day, held on July 1 each year, marks the merging of four former British colonies into a single new country. It is a national holiday. The country grew in size in the years that followed, and finally achieved complete autonomy from the UK in 1931. It was not until 1982, however, that the British parliament transferred final legal powers to Canada, including the power to amend its constitution.